A fun, easy and creative exercise to get top-of-mind reactions about what a respondent likes and dislikes about a concept. This is an excellent technique to understand a respondent’s initial reaction to an ad, a product concept or any other stimuli. 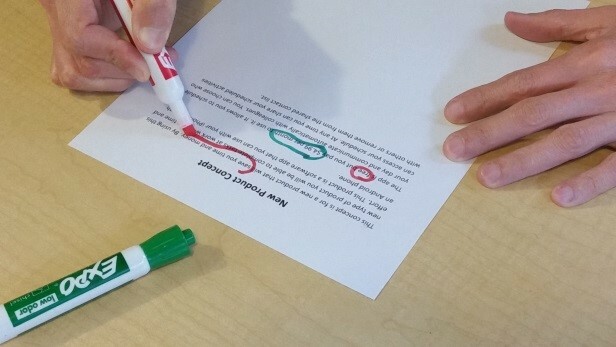 We do this with the assistance of red and green colored markers. The benefit of this technique is that it forces the respondent to commit and make decisions about the concept. This Red Light / Green Light document is then used as a basis for discussion.